The Jingle Bell Rock is in full swing and we are getting stuck in to our favourite festive activities. Here at Cotley Farm we have lots of exciting events and you can still sign up for our Kids Crafternoon or Centrepiece Masterclass, which comes with a glass of fizz. We always find that getting your friends together and heading to an event gifts the Christmas mood so we’ve put together a few things going on in Devon this holiday season. In his cosy grotto at Crealy everyone is invited to visit Santa and his elves for a brand new interactive Story Time experience. Santa reads classic Christmas tales as the elves accompany with some fun surprises. Every child who meets Santa will get a free gift and even the opportunity for a festive ‘selfie’. Places need to be booked online and run right up until 23rd December. Every child wants to meet Santa at Christmas time and Crealy are adding a little more magic this year. Dartmoor Railways Okehampton brings the magic of the Polar Express to life. There will be a hot food stand or you can treat yourself to something in the gift shop before you’re called aboard the festively decorated train. Here you’ll see some familiar faces so gather around and read the Polar Express storybook or get up and dance to the movie soundtrack. The journey will end with Santa welcoming everyone to the North Pole. This is a truly charmed Christmas treat for everyone. If you’re looking for a festive afternoon with friends or a partner why not treat yourself to a festive afternoon tea at Thurlestone Hotel in Kingsbridge. Classic sandwiches are accompanied with Christmas cakes as well as scones with jam and West Country Clotted Cream. You can also choose between tea, coffee or a festive cocktail. At £37.50 for two this would be a great gift for a friend or one of those presents you fancy for yourself. 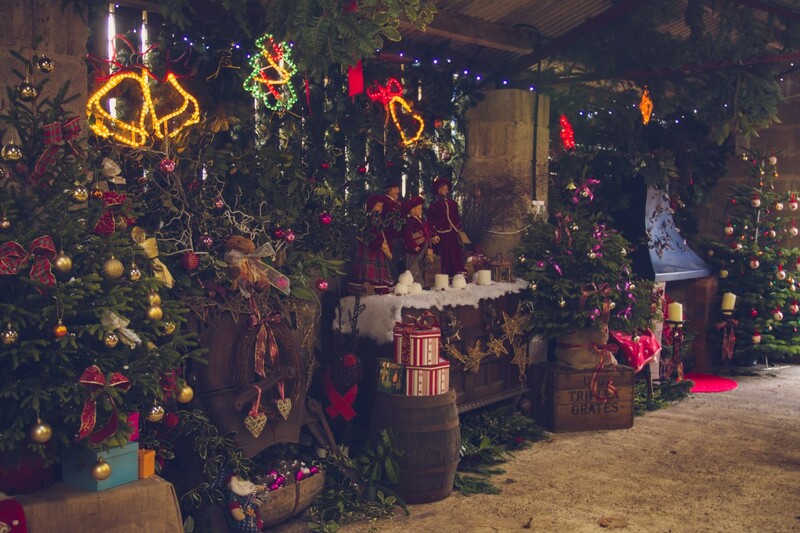 World of Country Life in Exmouth offer a Christmas experience in a traditional Victorian world. As well as meeting Santa in his cottage workshop there will also be crafts available, you can head to the Victorian Christmas street for roast chestnuts, a mince pie or a sausage roll and listen to the carol singing. Available on selected days throughout December this Christmas experience is a little different from most and could definitely become a new family favourite. Throughout the festive period Torquay town centre boasts creative installations. The town has been filled with workshops and choirs alongside other activities on their Christmas programme running until 24th December. Sound and light installations have been made by local artists, Christmas is really bringing this town together and we’re all invited to join the merriment. Everyone has their cherished Christmas traditions but it’s always fun to check out what’s on in the local area and add some new activities into your festive fun. We hope you all have a fabulous Christmas and will join us for many more.